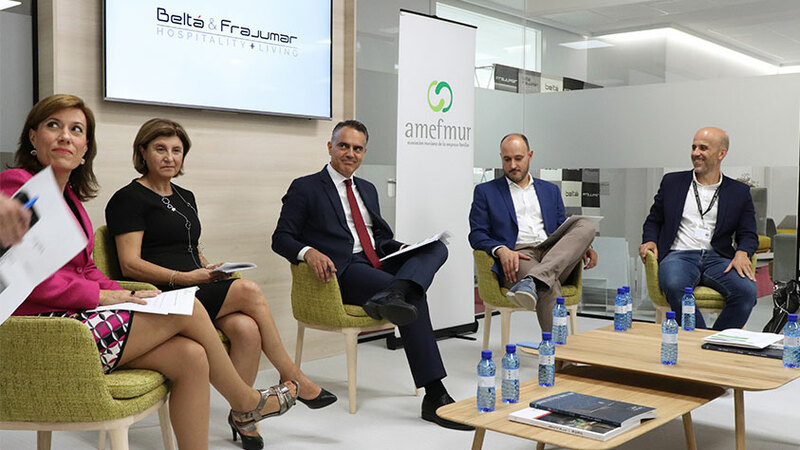 This Tuesday, September 25, and organized by AMEFMUR (Murcia Association of the family business), a meeting was held for young entrepreneurs in the facilities of Beltá & Frajumar in Yecla. These meetings are an opportunity for entrepreneurs to get to know each other better and learn from each other. 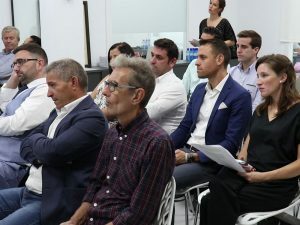 The meeting consisted of the presentation to the attendees of the company and the history of Beltá & Frajumar. 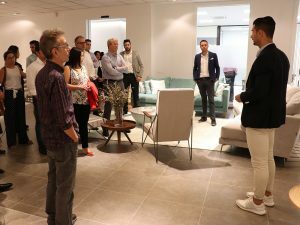 We had the opportunity to visit the showroom that has the same, and that is unique in Spain. The day continued with a roundtable meeting, moderated by Sergio Gordillo (Founder of “Improven”). A day in which Esther Aguirre, president of the Youth Forum of AMEFMUR, of the company Zamora Company (Licor 43 and Ramón Bilbao) was also present; Isabel Puerta, director of research, development and innovation in “Postres Reina”, or Rosario Ibáñez, CEO of “Metaenlace”, among many other attendees. 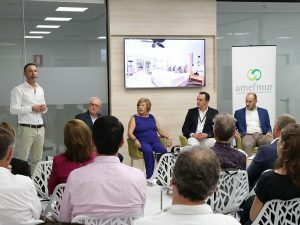 This roundtable meeting was about innovation in general as a fundamental part of the strategy in family businesses, and what this innovation has meant and supposes for the company in particular. These are some conclusions as advice taken out of this, very interesting, roundtable meeting. The event concluded with a visit to “Bodegas Castaño” in harvesting period, where the facilities were visited. There it was possible to appreciate how a wine cellar works at this period. Here the day ended, just after a lunch with “Monastrell” wines to conclude this encounter.